RoomDividersNow is the premier supplier of spring loaded tension rods on the market today. As industry leaders, our focus has been dedicated to engineering the most reliable tension rod design available. We have created a variety of tension rod sizes and colors to help you find the perfect rod for your space. 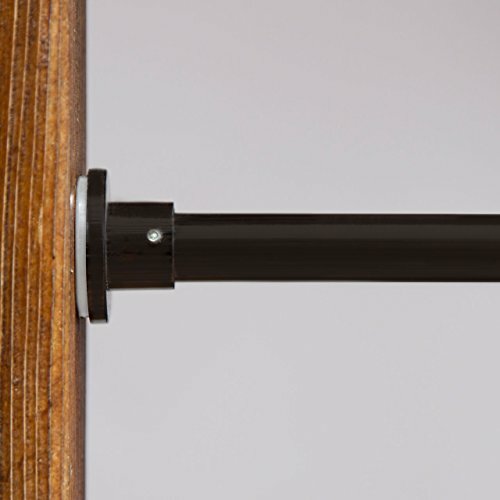 Our heavy-duty tension rods present a creative and easy way to hang curtains in minutes. No drilling required. Simply adjust the rod to the size of your space and let the spring loaded tension do the rest! * Curtains, drapes, clothes, room dividers, etc. Double curtain rod brackets, 2pair, no need for drilling, no nails, easy to operate, lift the curtain rods safely. 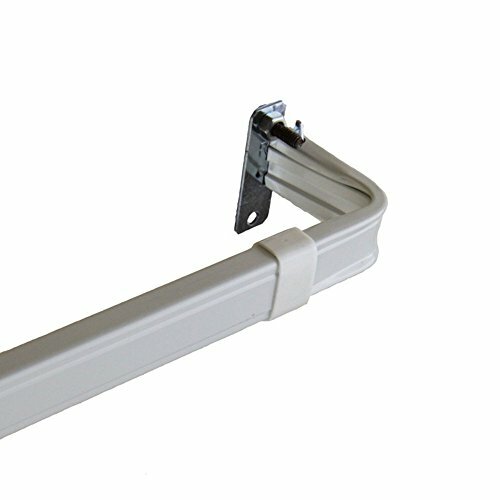 These unique easy to install curtain rod brackets install in literally seconds, as they just tap right into your window frame, The way it works is, you simply place it on the top corners of your window frame and tap it in with a hammer. Made of A3 iron, good quality, strong and durable. This set of devices can withstand a total weight of 20 pounds. Our products ensure quality, if you have any questions about the products, please feel free to contact us, we will deal with you immediately. 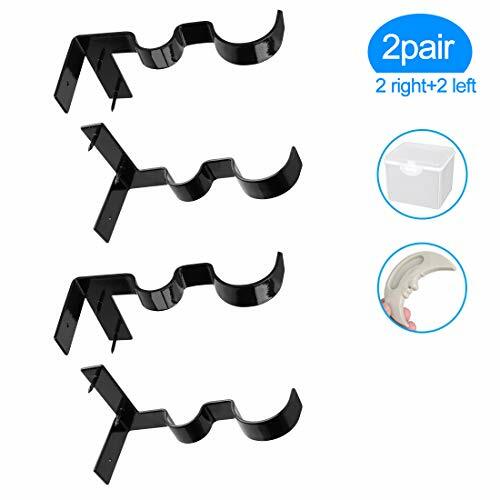 [You will get] - 2pair curtain rod brackets + 1 window handle + 1 storage box. [Functional]: Two expandable steel brackets can be used in new installations or as replacement brackets for existing rods. Great for curtains, drapes, layering or extending over blinds. 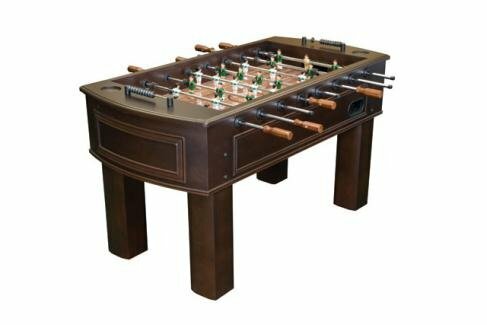 [Material] - Made of Sturdy metal, A3 iron plate, durable. [Easy to install] - Simply tap the bracket to the top of the woodwork with a hammer or hand, no need to measure, simple and convenient. [Size] - The double curtain rod brackets will hold one 1 inch and one 5/8 inch curtain rods, projecting 4 inches from the wall.